Microsoft will be streaming PDC 2010 Session at Microsoft Campus Hyderabad, Tonight. This biggest broadcasting on PDC happening first time at Hyderabad Campus, Building 3. If you have already registered for the event, be there in person by evening 6 PM . Along with the live streaming, we will have networking with senior leadership team, foods and many surprises for the attendees. 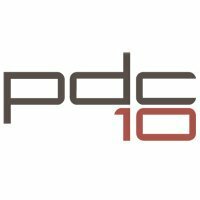 If you are tweeting anything on PDC 2010 please use #pdc10 hashtag.